Data Systems Management will be attending the Mississippi Justice Court Clerk Conference May 9-10, 2019 and would like to extend an invitation for you to stop by our booth and meet with Tommy, Robert, Al or Alan. While visiting our booth, please pick up your free gift, register for our door prize drawing, and ask about our new forms for your office. Soon you will see this invite arrive in the mail. We are very excited this year as we have some new applications to show and we also have a new Client Portal to introduce you to. As always, the sessions will be in the morning and we will feed you a good hot meal. We will be available to answer any questions you may have. We always like to sit and visit with our clients and hear your feedback on ways we can improve our software. This year we have two dates, December 5 or December 12, so be sure to send your invite back with the date you will attend. You can email me at awalker@datasysmgt.com, or contact me by phone at 601-573-6130. We look forward to seeing each of you there! Well it’s that time again and Data Systems Management could not be more excited about the upcoming Chancery Clerk Conference! We have a lot of new and exciting applications to show you and we are confident they will be beneficial to you. Please stop by our booth during the conference to say hello and to meet with the DSM team. We are here to help move your county into an easier working environment while keeping you up to date on the latest and best software in the business. We have over thirty years of experience with county governments and municipalities. Our development, install, and support teams are always as simple as a phone call away. Our sales team will be available in Biloxi at the Golden Nugget Casino on July 24 through July 26. Again, we are super excited about the possibilities that await you! When you visit ask about any upgrades or changes that we’ve made to our Land Redemption Package, Time and Attendance, Payroll, and Scanning options. 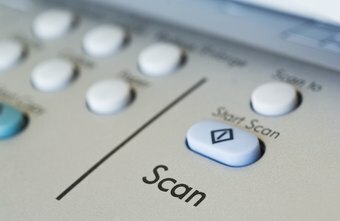 By now most everyone is scanning. Nothing new there, but did you know that Data Systems Management offers you a way to scan all your old records and there is no indexing involved! Data Systems Management offers to you an index free scanning system for your old land deeds. This saves you untold amounts of time on the front end as well as on the back end. You will never have to remember how something was indexed or what file it was saved in while making an effort to retrieve it. Data Systems will even take your previously scanned items and convert those to index free scanned images. By using the Scanning option with Data Systems Management, your scanned records can be searched just like using the internet. This scanning application is so easy to use you can even utilize interns, or young people looking for part time work to get all of your records scanned. Data Systems Management is committed to bringing you quality products that improve your daily workflow. Give me a call, I would love to come by and speak with you regarding our latest scanning option! You can reach me at awalker@datasysmgt.com I look forward to hearing from you very soon! Data Systems Management will be attending the 73rd Annual Clerk of Court Conference being hosted by the French Acadian Clerks on May 8-11, 2018 and would like to extend an invitation for you to stop by our booth and meet with our sales associates, Alan Smith and Al Theriot of Harahan, LA. While visiting our booth, please pick up your free gift, register for our door prize drawing, and ask about our LRMS Pronto-Rec. Data Systems Management will be attending the Mississippi Justice Court Clerk Conference May 10-11, 2018 and would like to extend an invitation for you to stop by our booth and meet with Tommy Davis. While visiting our booth, please pick up your free gift, register for our door prize drawing, and ask about our new forms for your office. Data Systems Management will be attending the Indiana Recorder’s Conference April 17-19, 2018 and would like to extend an invitation for you to stop by our booth and meet with our sales associate, Annette Walker. While visiting our booth, please pick up your free gift, register for our door prize drawing, and ask about our LRMS Pronto-Rec. Data Systems Management will be hosting our annual client appreciation conference on November 21, 2017. This conference will be hosted in our Clinton, MS office located at 1505 Clinton Business Park Drive. We will have the pleasure of digging a little deeper into the ACA regulations and you will again have the opportunity to ask questions of Seale Pylate of Phelps Dunbar. This is a service we are providing to you since the ACA and government fines are still an issue. A large portion of Seale’s time will be allocated to your specific questions. After a mid morning break, we will provide a brief overview of the much promised graphical payroll which is now live in multiple locations. This new product boasts many exciting features such as Perpetual Report Archive , optional Direct Deposit, unlimited user, define NOTES with audit trail (yes you can track employee raises) global default time, entry for employee groups, and too many more features to list. Our Time & Attendance system has been updated with new lower cost Android time clocks and we have enhanced the capability by executing mobile text punches with Geo-Location functionality. The FLSA requirements are still mandatory, the monitoring of hours for ACA purposes and insurance coverage is still an issue, and fines for non-compliance it still a reality. Lunch will be provided, there will be door prizes, and of course a little time for shopping while you’re in town. The afternoon will be open for any further demonstrations and/or questions or topics that you would like to review with us. Mark you calendar NOVEMBER 21, 2017 and join us as we celebrate the beauty and the great people that make our state the best it can be. We look forward to seeing you there! Data Systems Management is pleased to invite you to stop by our booth during the upcoming Justice Court Conference to be held in downtown Jackson, MS November 2nd and 3rd, 2017. This conference is being hosted by the Mississippi Judicial College. We have a gift for you just for stopping by. We also have some new software that will enhance your job now. We are looking forward to seeing each of you. Please stop by the booth, pick up your free gift, visit with our representatives, and see our newest software. Data Systems Management recently attended the Mississippi Association of Supervisors Conference June 12-15, 2017. It was truly our pleasure to see all the newer supervisors as well as the seasoned supervisors, administrators, comptrollers, and chancery clerks. During our visit we presented out Time an Attendance application and gave away a handsome prize of a Windows Surface Pro PC Tablet. Today we are making the announcement of the winner. Above is a picture of Randy Wolfe, Tallahatchie County, MS, with his win. Congratulations to Randy! We hope he is enjoying his prize! Also there are a couple of pictures from the conference, and our booth. I would like to leave you with a couple of pictures of the great decor. Thank you to the Association for such a great conference. We look forward to many more.